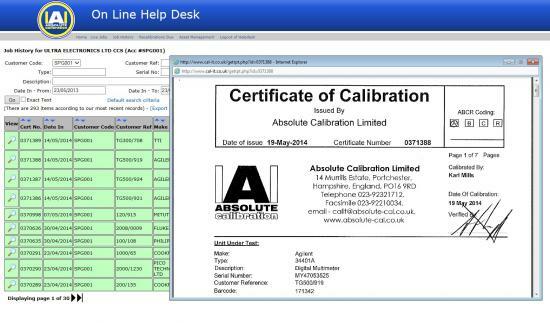 Absolute Calibration's On-line HelpDesk application enables customers to view both instruments that are work-in-progress, including those scheduled for the next delivery and those that we have calibrated previously. 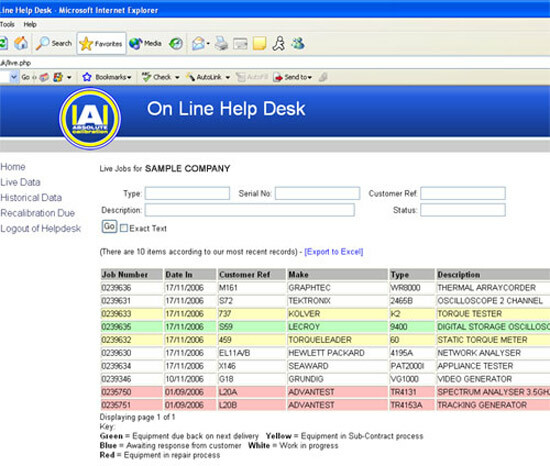 A full search facility enables easy location of your equipment. Once you have the data you require you can export it to Excel. 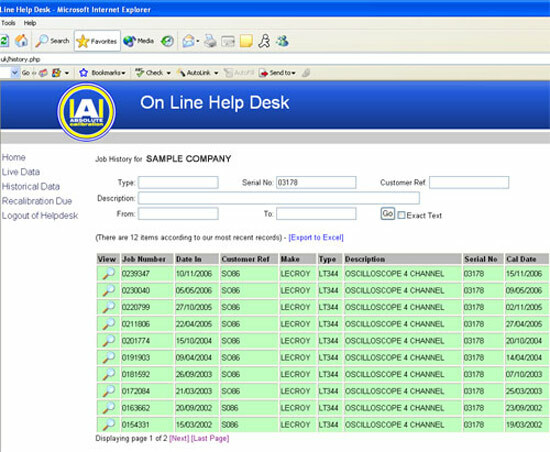 The historic data has features such as certificate and report print/download and the ability to produce calibration reminders from a date range chosen by the customer. As well as being able to produce your own reminders, we will automatically send you a reminder, via email, the month before the calibration is due. To request log-in details and a password, please click here to complete a request form. If you already have your login information, please click on the link below or the link on the top banner from any page. A 'shot' of the live data highlighting where each instrument is within our process. A copy of the Calibration Certificate and report i.e. the calibration results, can be obtained by clicking on the magnifier glass in the 'View' column. Ther certificate with report will pop up in a new window (you must have pop-ups enabled). 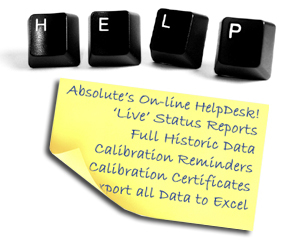 The historic data allows certificate and report download and print, the search feature allows grouping of instruments and using our A,B,C,R calibration coding is an excellent, quick way to analyse the performance of your instruments.